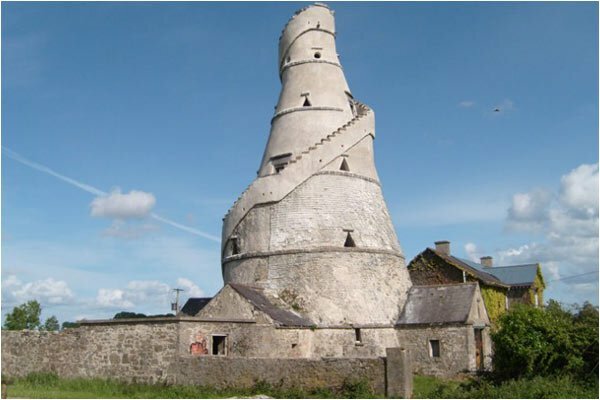 Popular tourist attraction The Guinness Storehouse may be the home of the famous tipple but delve a little deeper and you will discover that its birthplace and evolution lies in the neighbouring county of Kildare. Local researchers spent three years sifting through the archives to map the life and times of this most famous brewing family and the result is Arthur’s Way Heritage Trail – a breathtakingly scenic 16km ramble or bike ride through the northeast of Kildare as you follow in the footsteps of the stout maker himself and take in some important historical landmarks along the way. The trail begins where two rivers meet, the Liffey and the Rye, providing stunning views that set the scene for this enchanting journey. 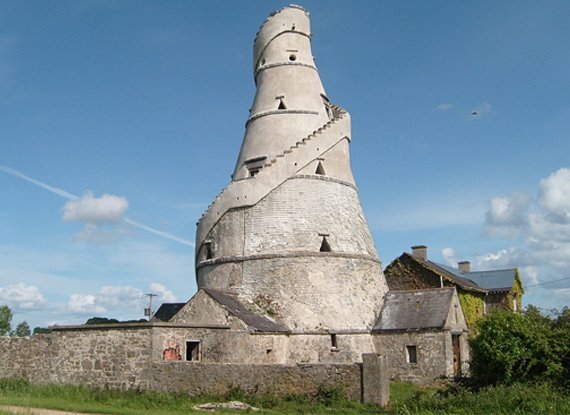 Leixlip was where Arthur’s vision became a reality – he surveyed the surrounding lands and deemed them perfect for his brewery, he received some of the start-up money for his venture from Archbishop Price who is buried in the nearby medieval church St Mary’s and he had the waterways to tow his product to the masses. 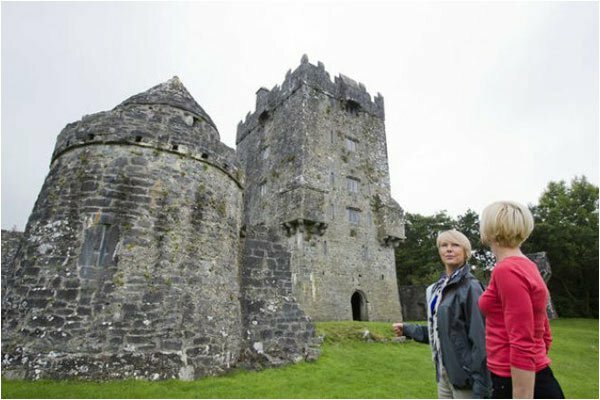 Across the water you will be struck by the imposing Leixlip Castle which has parts dating back 1172 and the time of the Norman invasions. 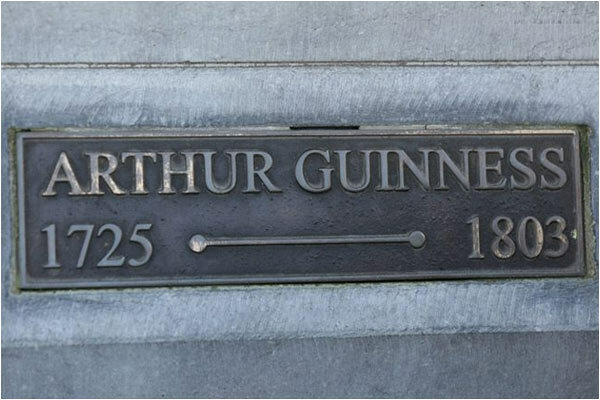 This building provides the strongest living link to Arthur as it was purchased by his descendant Desmond Guinness in 1958. Next head for Celbridge, the place where Arthur spent his childhood and learned the brewing craft at his father’s side. 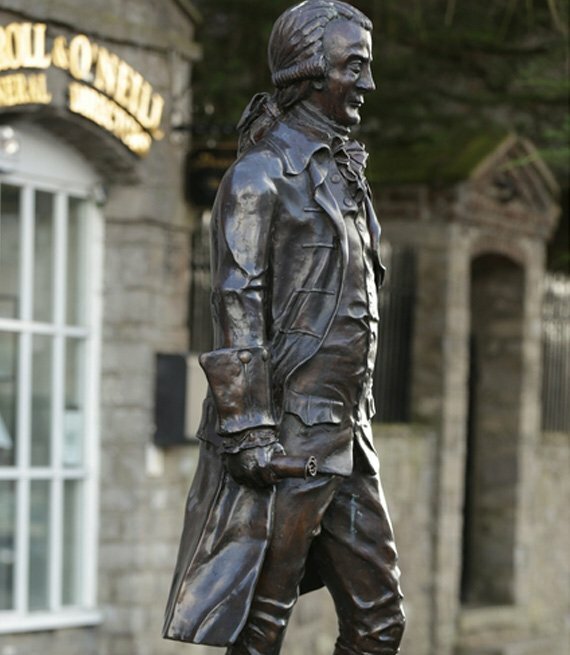 Locals give a nod to the entrepreneur with an imposing statue in the heart of the town. The trail also invites you to take in other historic sites such as the Castletown House, the earliest and largest Palladian-style estate in Ireland, and The Wonderful Barn – a folly commissioned in 1743 which now enjoys status as a UNESCO world heritage site. 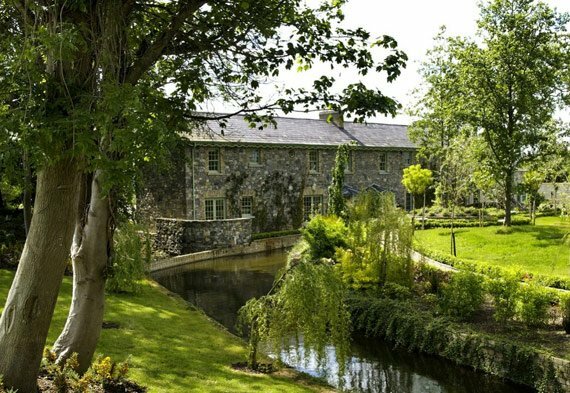 From there, you are directed towards Hazelhatch, where you come upon the majestic Grand Canal – a feat of Victorian engineering – and then on to Lyons Estate, a spectacular beauty spot from which the ten Kings of Leinster once ruled during the first millennium. It had also been home to a seventh century church, then a castle and town which were later destroyed by a war in 1641. Near its ruins Lyons House was built and it sparked a bustling industry and community to grow up around it, one such member of this community was Joseph P. Shackleton, a relation to the Antarctic explorer Ernest, who worked at the flourmill. 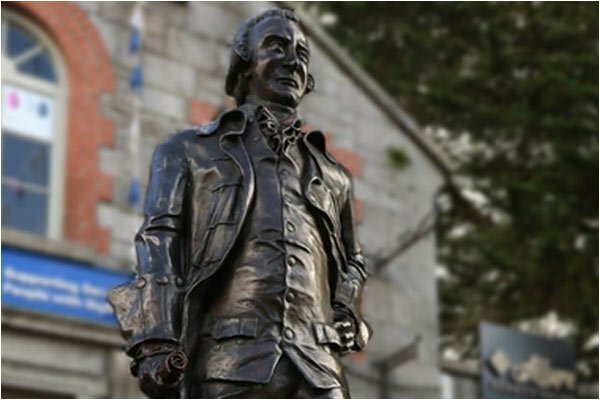 Your last stop on the trail will take you to Oughterard Cemetery, the final resting place of Arthur Guinness and some of his family members. 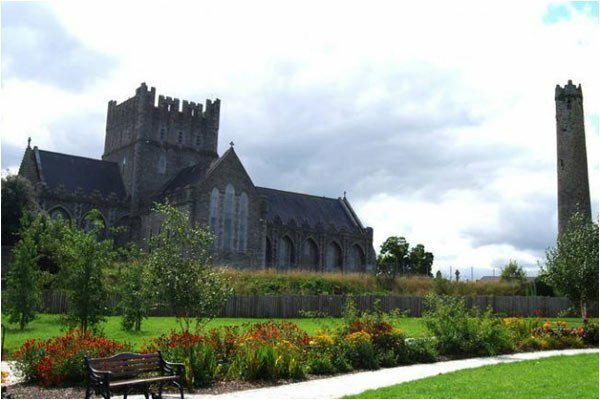 The graveyard is set atop a small hill and gives awe-inspiring views of Kildare’s sweeping landscape and to the South the Dublin and Wicklow mountains. The trail is suitable for family groups takes 3 to 3.5 hours walking or between 1 to 1.5 hours cycling.